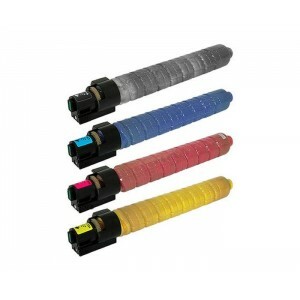 Toner do Ricoh Aficio MPC2000 , Ricoh Aficio MPC2500 , Ricoh Aficio MPC2500AD , Ricoh Aficio MPC3000AD. Toner do ﻿Gestetner MPC3000AD , Gestetner DSC525 , Gestetner DSC530. ﻿Toner do ﻿Nashuatec MPC2000 , Nashuatec MPC2500 , Nashuatec MPC2500AD , Nashuatec MPC3000AD , NRG MPC2500. Toner do ﻿Rex Rotary MPC2500 , Gestetner MPC2500 , NRG MPC3000AD , Rex Rotary MPC3000AD. Toner do ﻿Savin C2525 , Savin C3030 , Infotec ISC2020 , Infotec ISC2525 , Infotec ISC3030. Lanier LD425C , Lanier LD430C , Rex Rotary MPC2000 , Rex Rotary MPC2500AD.